Writer Elif Shafak highlights the crucial, yet often confusing, transition between childhood and adulthood in her recent novel, “The Three Daughters of Eve,” through the character of Peri. ￼Courtesy of World Economic Forum via Flickr. The summer after high school and before college is comprised of a kind of in-betweenness, saying goodbye to one thing while preparing for another. In general, much of youth takes place in this kind of liminal space: between childhood and adulthood, between your family’s identity and your own, between who you are and who you want to be. While many books, movies and television series feature young protagonists and try to address the idea of youth, few fully take on this in-betweenness. The book is primarily set in Turkey. It follows the life of a woman, Nazperi Nalbantoğlu, better known as Peri, and is told in two alternating timelines: One starts when she’s in her 30s and is going to a dinner party with members of Istanbul’s elite, and one involves flashbacks to her childhood and youth. In the book’s opening scene, Peri fights off a tramp who tries to steal her purse. During this scuffle, a photograph falls out of her bag, reminding her of her college days. The next chapter is a flashback in which we learn about her childhood, during which time she’s divided by her mother’s strict religious attitudes and her intensely secular father. This pattern is mirrored by her older brothers and by some of the dinner guests in the later timeline. In addition, this seems to be an allegory for much of Turkey’s history—caught between religion and secularism, and between the East and the West. In these first few chapters, Shafak introduces another recurring conflict: the nature of God. Again, Peri is divided between her mother’s confidence in God and her father’s constant denial of a divine being. To clear things up, Peri begins to keep a journal of all the events that happen in her life that relate to God, including her strange recurring visions. That journal, those visions and the photograph from the first scene provide a frame of reference for the story. Eventually, Peri follows her father’s wishes and leaves Turkey altogether. She goes to Oxford, where she is confronted with a brand new culture. However, she remains haunted by her in-betweenness. Two extremes are represented by two different characters. One of the first students Peri meets is Shirin, an exuberant Iranian girl existing in an in-betweenness of her own, having been exiled from her country. Shirin is extroverted, modern and promiscuous. Then, Peri meets Mona, a religious and reserved Egyptian-American. While much of the book would lead readers to believe that Shirin, Peri and Mona are the three protagonists, the narrative doesn’t offer much development for Mona and Shirin. Mona’s character, in particular, is written without much depth. To the reader, her absence presents much of Peri’s inner struggle as unbalanced. I felt like Peri’s struggle with religion was depicted quite profoundly, and that it was one of the more engaging aspects of the book. Shafak does a wonderful job in demonstrating this conflict— showing it rather than just telling us about it. This adds more action and urgency to what could be a story of angst and inner turmoil. Peri’s ambivalence toward religion continues to be amplified by external and internal forces, especially when she decides to take a seminar on the nature of God. 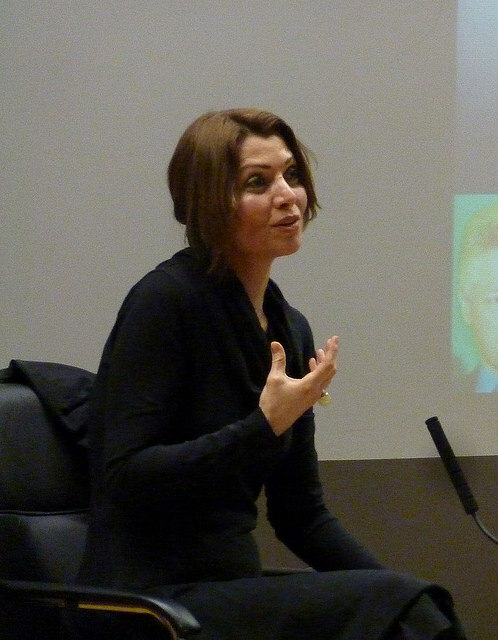 The content of this class is another way in which Shafak depicts the inner conflict of the story, and it offers more for the book to explore. Overall, I felt the story’s conflict was presented well as it was shown through the perspective of the main character—never getting too boring or slow. Shafak’s prose is lovely and was another reason to keep turning the pages. The characters, especially Peri, were well thought out and complemented each other. The 2016 storyline, in which Peri goes to the dinner party, worked well in opening and closing the novel. Peri’s self-reflection helped emphasize the in-betweenness she experienced in her youth. However, the storyline itself was often dull and also took a long time to develop. The main events don’t start until about three-quarters of the way through the novel. In addition, the novel’s ending felt a little rushed. I didn’t see a convincing switch from the uncertain, in-between Peri we see in the chapters about her college experience and the more self-assured, reflective Peri in the 2016 chapters. As the difference between her character at the beginning and the end forms a framing device for the whole story, I thought that the missing transition between them was a major fault in the narrative. Still, “The Three Daughters of Eve” (or, at least, the first three-quarters of it) was engaging and interesting. Certainly, reading this book the summer before college helped me to realize how much of my life was taking place in the in-between spaces of college and childhood. And the ending makes me wonder how I’ll look back on this pivotal time in 10 or 20 years.